Now that we’re passed the peak hot season of the year, you can definitely look forward to many kinds of fall activities this time as well. From outdoor excursions to different types of seasonal indoor activities, there’s plenty to choose from. Of course, depending on how far into the season you’re in, it might still be a little warmer, but one thing’s for sure though, you’ll never run out of things to do. Enjoy Visiting Your Local Pumpkin Farm Cast your cares aside and join plenty of pumpkin enthusiasts at your local pumpkin farm this season! Enjoy the harvests of the season in the form of sweet and savory treats and have fun playing and participating in tons of seasonal activities. The more the merrier, so get everyone to come along! Unleash Your Pumpkin Carving Creativity Pumpkin madness has arrived, and even if you’re not into eating this delicious autumn offering, you can still have lots of fun carving and turning them into masterful creations. With the right tools (e.g. power drills, carving knives, gouges, cookie cutters), you can definitely turn this into a fun activity that’s suitable for both children and adults. Have a Fun Backyard Bonfire Fancy warming up your toes before a bonfire? Though the idea sounds simply inviting, you might not have a yard to accomplish this. If this is the case, don’t give up just yet. Having a barbecue party is also one way to bring the heat and the meat, and it’s also great for bonding with family and friends. Join Your Local Fall Festival It’s a little cooler right now, but that’s not going to stop anyone from enjoying different types of fall activities this year too. You’ll definitely have a ball at your local fall festival, and if you’re into music, food, outdoor activities and plenty of other seasonal goodies, you’re going to have a blast. Get Ready for an Epic Halloween If it’s not too much work and effort to design and make your own Halloween costume this year, go for it. Although there’s plenty of retail and online options available (and the list just continues to grow), there’s something truly unique about appearing in a creation of your own. If you’ve got the little ones joining in this time round, you can even opt for a family-inspired theme. Savor a Beautiful Scenic Drive Fall is one season to look forward to with its vibrant colors and cool temperatures. Of course, you can throw open your windows to let all that crisp air in, but if you want to experience something a little more scenic, you can definitely rely on our Destin limo service for a good time. 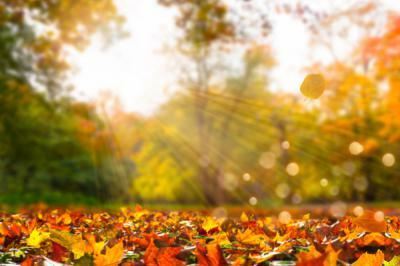 We’ll love to show you just how beautiful the area can be in fall and treat you to a luxurious and comfortable ride, so don’t hesitate to reach out to us and count on the best limo service Destin FL has to offer.